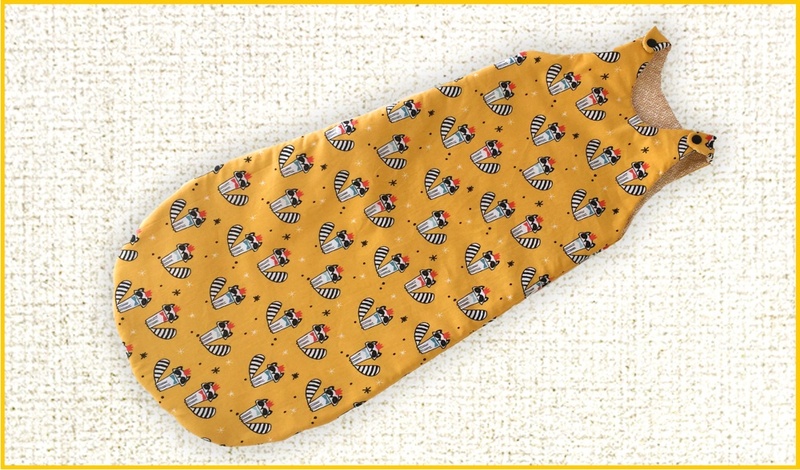 Here below all the information you'll need to make a fun and colorful “Baby Sleeping bag” That you can customize with your favorite fabrics and colors. • After cuttting the patterns, put the dashed parts together, this should give you the two shapes of the sleeping bag (front and back). Bring the right side of the printed fabric on the wrong side. • Do the same for the back. • Place the 2 fabrics (righ side on right side) on the thermolan and fix the 3 layers with pins. 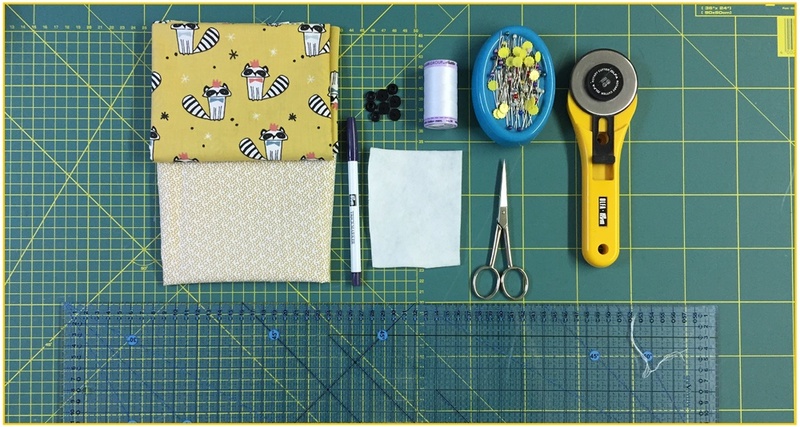 • Sew along the drawn line and leave an opening of 8 cm (to turn your work inside out). Do the same fot the other rectangle. • Cut (be sure to leave a margin of half a centimeter). • Turn your work inside out and iron the excess fabric. Hand sew the opening. • Overlie (right side on right side) the two parts and sew the lower part of the sleepling bag (take the fuchsia pins as a reference). • Turn your work inside out and put the automatic buttons on it.